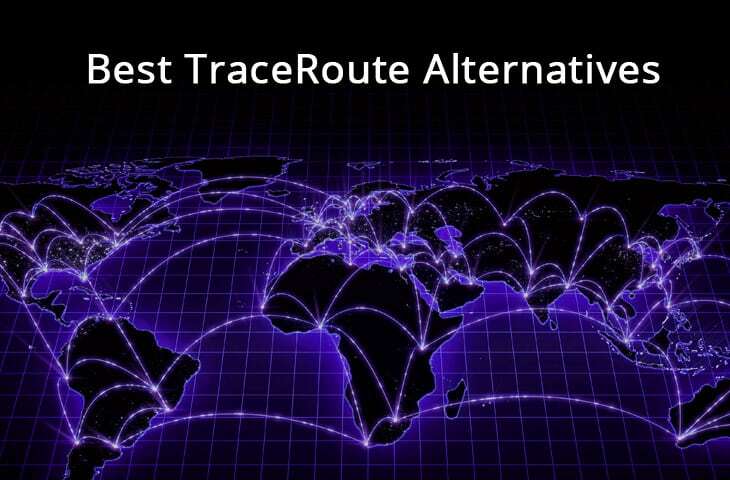 10 Best TraceRoute Alternatives/Replacement Tools for Troubleshooting !!! Being able to measure the time between hops of your network is really important, especially if you are responsible for ensuring uptime and network performance as part of your daily system admin roles. Tracert is a command line tool that lets you measure the path that your packets are taking over the network, and can tell you how long each hop takes. If you experience a network outage, Tracert can help you to determine how far the data packet is traveling, and at which IP address, or hop, it is failing at. Here are 10 of the best 3rd-Party Traceroute software & tools for you to take a look at, so you don’t have to rely solely on the command line version that is found on some systems. Some of these include the same cmds and more on top of the basic list of them, along with some cool mapping features and more! 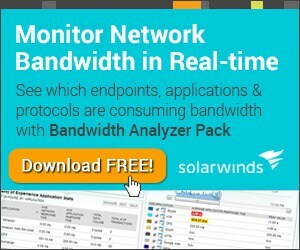 Solarwinds Tracert NG is a great free tool for your network that can help you with performance measuring and path changes on your network. It allows for continuous probing when troubleshooting connectivity issues, so you can monitor changes to any fault while you continue investigating a fault. Where Traceroute NG is especially useful is in the network path analysis segment of your network, because it can easily monitor both TCP and ICMP. It stores log files in the form of TXT logfiles, and can support IPV4 and IPV6, ensuring that your diagnostics are future proof. 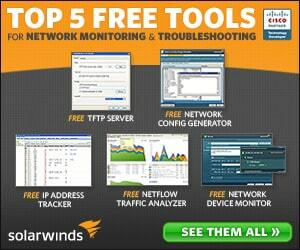 Overall, Solarwinds Traceroute NG is a basic tool that offers great functionality in a simple package. 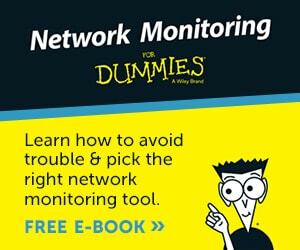 It does exactly what it says, and provides valuable diagnostic information in times of network issues, giving you a better understanding of where your network might have failed. 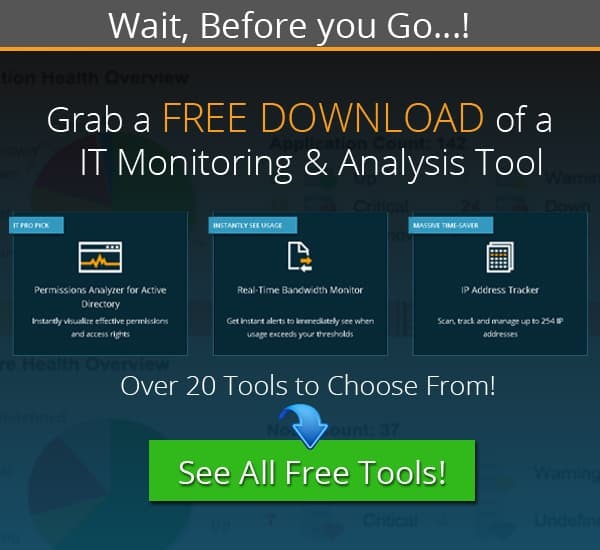 If you think that it might be useful in your network setup, why not try downloading it Free from the link below! 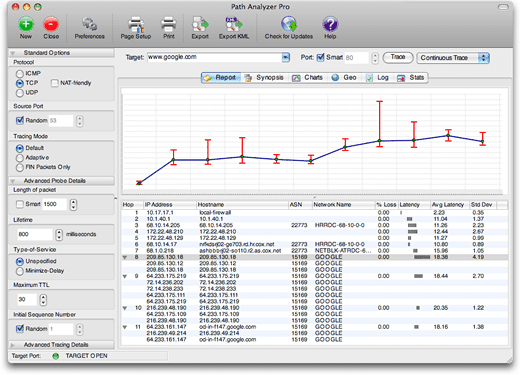 Next, we have Path Analyzer Pro. This is an advanced network tool that can obviously run traceroute, but has additional functionality with its performance testing, DNS queries, whois, and network resolution. This all helps to investigate network issues and connectivity problems on the network. All of these features are rolled up into a single powerful application that makes it far easier for system admins to use. It runs on both Windows and Mac OS, so you can map out the current state of your network, regardless of what type of environment you are trying to trouble shoot from. Other great features are things like performance improvements over traditional tracerout, with over 20 times the speed. It has built in report generation and a very easy to use interface. The charting option brings a visual component that helps with fault finding, which is great as well. Pricing:Starts at $29.95 for the personal version, and goes up to $89.95 for the business version. 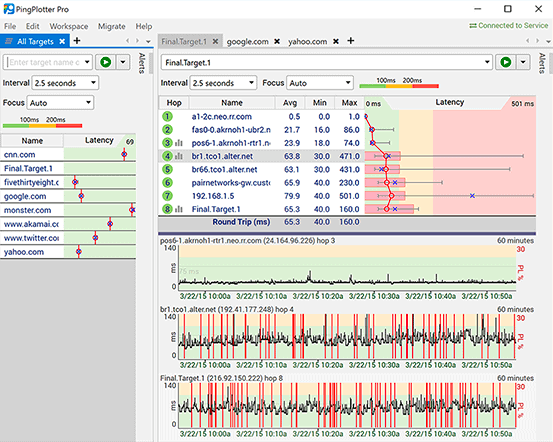 VisualRoute Lite is a free program for home users, and is intended primarily as an internet connection diagnostic. This is because it uses hops between routers on your internet connection’s path to the internet. If a particular piece of equipment, or path is giving issues, then users are able to track the new path, or point of failure via the software. Even if your connection is working, but slow you can get valuable latency information from the user interface. There is both a Windows version, as well as a Mac OS version available for users, so you can use it on the device that suits you better. Other valuable info includes a route information analysis, packet loss data, DNS lookup information and response times, a visual graph, and information about alternate routes. Overall, this is a very basic application, but because it is aimed at home users it doesn’t need to have many other features other than the ones we have looked at here. Open Visual Traceroute is a graphical overlay for traceroute that provides some useful visuals for elements such as maps, graphs, and much more. As the name suggests, the application is free and open source, and has the source code available for download on the site’s download page as well. Other useful features include a network packet sniffer, a whois feature, and much more. The application can run on Windows, Linux, Mac OS, as well as Java, making it a truly universal, cross platform application. This means that regardless of what you are running as your favorite operating system. There are quite a few features that Open Visual Traceroute has that are really useful, especially the mapping segment of the application. If users have a PC that cannot run full 3D applications, there is a 2D feature that allows for easier to display maps in 2D. As far as free programs go, this is a really good route tracing application, with reports and graphs to help explain the situation of your network to even non-technical people such as managers and executives. PingPlotter is another good application for network troubleshooting and route mapping for your network traffic. It helps you to detect and inspect the route and issues relating to speed with alerts and conditions, which is quite useful for monitoring purposes. You can set up conditions that start logging as soon as routing issues become apparent, so that you can record any deviations from normal operating procedures over your network. There are visual tools such as graphs as well, which help with visualization and understanding problems much easier. There is a standard and pro version of this application, with the standard features focusing more on small businesses and home users, while the pro version is more geared towards larger organizations with enterprise requirements. Visual Trace Route Tool is a web based application that helps you to see how the connectivity between you and your website, or any other online asset that can be pinged, is doing. It overlays the router hops to a global map, helping you to see just how far the data has to travel to get to the destination. You can enter the IP address of the website or asset, or the domain name or website address. The maps that it uses are Google Maps, so it is a clean and easy interface. 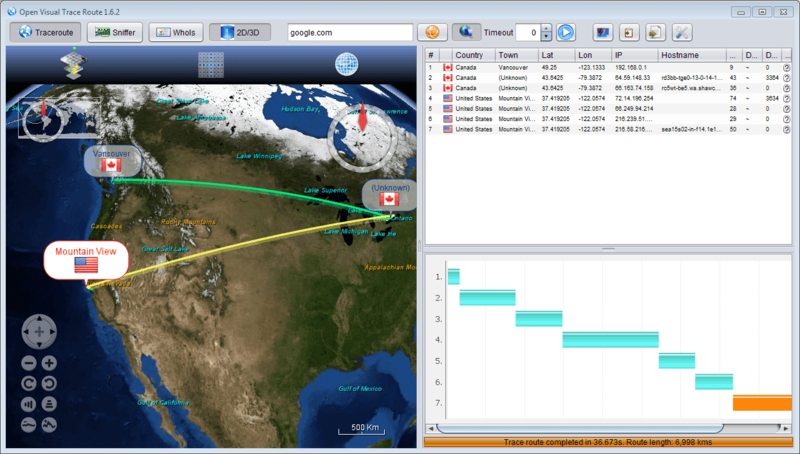 The application pings from three different gloabal locations: United States, Europe, and Asia/Pacific. This allows you to find out if there are any region specific issues for global clients by checking different routes, and it will help you to determine where a service is down, and if that service is local to you, or a more serious, global issue. Those wishing to use the service may do so for free, but a signup is required, and it lasts for 14 days. CountryTraceRoute is another traceroute utility that uses a graphical user interface instead of the old style, command line interface that many system admins are familiar with. It uses a window that shows valuable information such as the IP address of each hop, the host name, country that the IP address resides in, the time of each hop, and the total hops to the destination. The only thing that this app is lacking is a map overlay, but that may or may not matter to you. Perhaps the best feature of this application is the fact that it runs much faster than traditional traceroute applications, which is a big plus if you are troubleshooting in a hurry. There next great thing about this application is the fact that it is completely free to use. This means no trials, no sign ups, and no credit card details required. 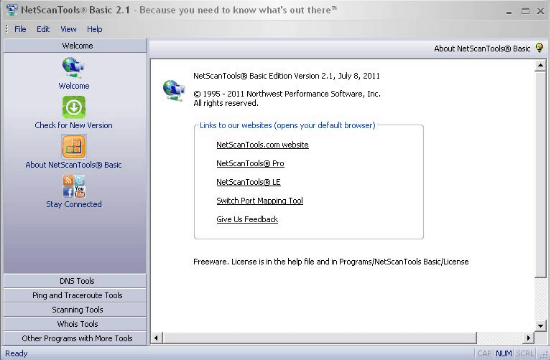 NetScanTools Basic is a freeware tool that runs in Windows, and has compatibility with Windows 10, Windows 8, Windows 8.1, Windows 7, Windows Vista, Windows XP, Server 2016, Server 2012, Server 2008, and Server 2003. It comes with additional tools as well as the traceroute application, and it allows users to perform Ping, Ping Scan, a Graphical Ping, Traceroute, and Whois operations. This is handy as it all resides in a single application, and commands are easy to execute from within the application. Again, as with many of the freeware applications, some people might not find exactly what they are looking for with this application as it lacks some of the basic functionality such as a global map. Although it does have some graphical output in the form of graphs and visual hops, it doesn’t seem to have much in the way of report generation and export. This means that this application might be more suitable for a home user than for a professional environment. If you have ever been stuck with connectivity options, but wanted to know where the break in connectivity resides, then HyperTrace can help. It performs basic Traceroute operations via an easy to use graphical interface. It allows you to visually inspect the route that your data packets are taking over the internet, and provides valuable insight into the current state of your internet connection. It is compatible with all versions of Microsoft Windows, and best of all, its free to use. This is very basic as far as Traceroute tools go, but that may or may not be a good thing, depending on the requirements that you may have for using traceroute and similar network utilities within your environment. You can safely open this application without having to worry about it draining valuable system resources, as it has a very minimalistic memory footprint, due to the simplistic interface and light resource requirements. Last, but not least we have WinMTR, another basic application that favors simplicity and functionality over flashy graphics and other gimmicky features. Although now inactive, the development of this application seems to have completed in around 2011, making this quite an old application by modern standards. This isn’t all bad news however, as it seems to run with very little lag and latency, and can operate of PCs that have less than ideal specs in the hardware department. 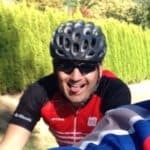 Users can easily check the number of hops that their data is taking on its journey to its final destination, and then export its findings to text files, or as an HTML output. As it is a freeware application, there isn’t too much to not like about WinMTR. It is about as basic as a Traceroute application could be, and it does exactly what you need it to do, no more, and no less. Again, those that are looking for graphical output in graphs and global maps should probably look elsewhere, and if you need to visually explain an issue to management or to your boss, then you could definitely do better than WinMTR. Traceroute is an invaluable diagnostic tool to have in your bag of tricks, especially if you are a network technician or system administrator. Being able to quickly visualize where the break in connectivity resides on your network, or over the internet, is greatly important. Finding the right application for your environment is important, especially if you have specific requirements, such as reporting, mapping, and visually showing your managers exactly what is happening on your network at any given time.